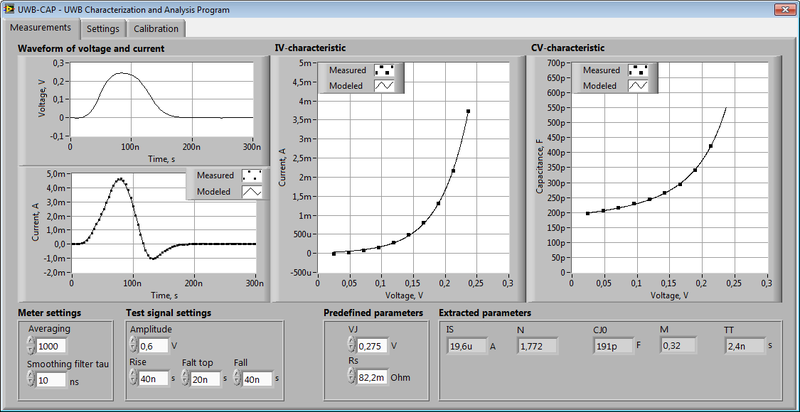 IV- and CV-meter works under control of UWB-CAP (UWB Characterization and Analysis Program). 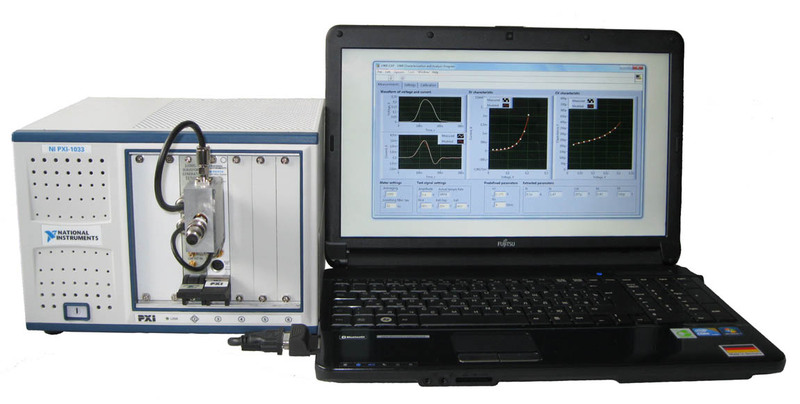 UWB-CAP for the first time allows the simultaneous measurement of current-voltage (IVC) and capacitance-voltage (CVC) characteristics of semiconductor elements using ultrashort (100 ns or shorter) baseband impact. IVC and CVC simultaneously measured even if the transition process in the element is ongoing. Based on the measured IVC and CVC the extraction of element parameters is performed. 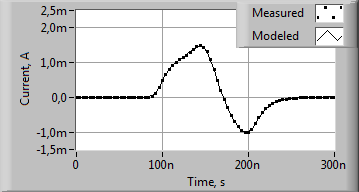 For elements that work with pulse and digital signals UWB-CAP provides an extraction of element's parameters using the working signal of an element. It is important - some parameters of SPICE-models of nonlinear elements depend from the form of test signals, by which these parameters were measured. p-n junction's current: experimentally registered (squares) and modeled using SPICE-parameters (solid lines).